Inspire their sense of adventure with LEGO Brand Prince of Persia™ toys. With mythical castles, battle sets, Prince of Persia action figures and collectibles, your kids can reenact scenes from the movie and safeguard the Sands of Time – or create stories from their own imaginations. Explore the latest Prince of Persia figures, toys, sets and accessories and open the doors to an exciting new journey. This is a BRAND NEW set of LEGO® Disney Prince of Persia™ 7572 Quest Against Time from 2010. This set is still factory sealed and the box is in very good condition with minor shelf wear. 506 pieces and 4 minifigures©. 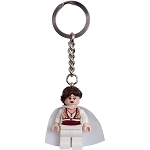 This is a BRAND NEW LEGO® Disney Prince of Persia™ 852939 Prince Dastan Key Chain from 2010. 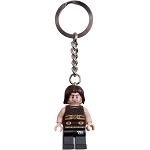 This is a BRAND NEW LEGO® Disney Prince of Persia™ 852940 Princess Tamina Key Chain from 2010. 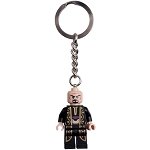 This is a BRAND NEW LEGO® Disney Prince of Persia™ 852941 Nizam Key Chain from 2010.